There are many different things that can negatively impact the hard floors in your business, from wear and tear caused by foot traffic to radiators which can gradually warp certain types of flooring. From hardwood flooring to marble, the floors in your business are a big investment, so it’s important they are properly looked after. 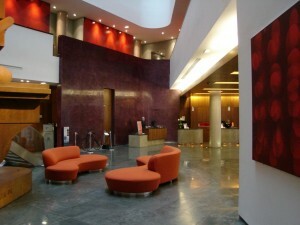 A floor maintenance plan from MetroClean will help you to avoid costly replacements, saving you money in the long run. There is some maintenance work that should be carried out regularly without the need for professional help. Dusting will help to avoid scratches on a day-to-day basis and spillages should be cleaned up when they occur, as they can often penetrate deep into the floor and lead to staining. Mopping your hard floors on at least a week-to-week basis or daily in a busy office is a must to get rid of surface dust, dirt and hair. To really make sure your hard floors don’t lose their lustre, you’ll need professional help. At MetroClean, we have the equipment and know-how to keep your hard floors looking their best for years to come. We clean, polish and restore floors to a high standard. 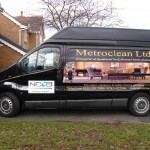 As well as providing a deep clean which cannot be achieved with normal household products, MetroClean have all the knowledge and experience required to make sure this process is carried out correctly. Using the wrong products on your floor can do more damage than good, so hiring a reliable company like MetroClean is an absolute must! If you have any questions or would like to book a free, no-obligation quote, call our dedicated service team on 0151 281 7466 today. Our service coverage includes: Aigburth, Allerton, Belle Vale, Bowring Park, Broadgreen, Childwall, Garston, Gateacre, Grassendale, Hale, Halewood, Hunts Cross, Huyton, Mossley Hill, Old Swan, Speke, Wavertree, Skelmersdale, Burscough and Southport.